To say Fallout 76 had somewhat of a troubled launch is a massive understatement. The game has been plagued with numerous issues both in- game and out of game and has seemingly found itself in the news every other week for all of the wrong reasons. 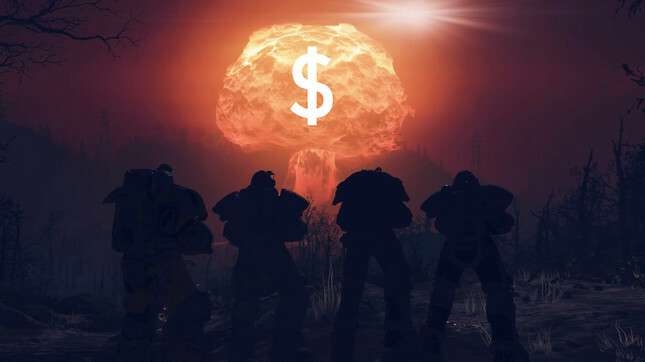 Despite this, Bethesda has always championed the fact that there is no pay-to-win in the game's economy. It's another week, and we have another doozy where it appears that the publisher has decided not to practice what it preaches. In the latest patch, Bethesda has introduced Repair Kits which can be purchased using Atoms. While not entirely a fully-fledged pay-to-win purchasable, the Repair Kits do provide a significant fast-tracing option for those with deeper pockets when compared to the natural acquisition of Repair Kits in game. The fan response has been understandably less than glowing with many taking to Twitter and Reddit to lament the recent change. Bethesda Community Managers have also been strangely absent as the news broke on the Fallout 76 Subreddit, which doesn't help matters. It seems outlandish that despite all of the negative response to Fallout 76 and the publisher's efforts to win back the maligned player base, that they would decide to make this move when even the most fraudulent of psychics could have predicted a severe backlash. Let's just hope this isn't a slippery slope and the game's economy remains as balanced as possible for the average player. Time will tell. One thing's for sure, if Bethesda can't find a way to steer the Fallout 76 ship right (or at least pull up the anchor), no amount of repair kits will fix the damage done to the studio's credibility and lineage. What are your thoughts on the matter? Do you think it veers too closely into the ghastly waters of pay-to-win or is it not a big deal? Let us know in the comments below!